It is not going too far to observe that the medical industry is in the grip of madness. Modern medicine has lost its balance making hospitals one of the most dangerous places to be. They are often places that increase our chances of death through medical negligence and ignorance. Certainly they are places that threaten most patients and even countries with bankruptcy because most people and governments can ill afford a form of medicine that is in and of itself a mistake. Hospitals have served as the cornerstone of modern healthcare systems around the world. Most people today are born in hospitals. Hospitals are those places that touch us most intimately during episodes of severe sickness or disease. Hospitals are predominately where our loved ones go to die and where the rest of us go to see our loved ones suffer agonizing deaths. Hospitals in America are in a process of disruptive change—changes that will lead to one in three hospitals closing over the next 10 years. The crippling and unaffordable cost of healthcare is driving the decline but so also is the fact that statistically speaking hospitals are hazardous to our health. The Journal of the American Medical Association reports that nearly 100,000 people die annually in hospitals just from medical errors alone! Another 100,000 die from properly prescribed medicines! The situation at hospitals is deteriorating very quickly as drug-resistant germs are leaving doctors helpless. Also, if you go to a hospital, the odds are increasing dramatically that the drugs you need will be unavailable. The growing scarcity of sterile, injectable drugs is one of the biggest issues confronting hospitals across the country. Health officials blame the shortages on industry consolidation that has left only a handful of generic manufacturers of these drugs, even as the number of drugs going off-patent is growing. Some medicines have been periodically short in the past, doctors and pharmacists say, but the number of drug shortages has escalated in recent years, jumping from 56 in 2006 to 250 last year, according to U.S. Food and Drug Administration figures. A clinical nutrition group, the American Society for Parenteral and Enteral Nutrition, found that 70% of the 800-member nurses, doctors and pharmacists who responded to an online survey said they had seen shortages of adult injectable multi-vitamins used for basic nutrition for patients with intestinal issues. More than a quarter were not giving their patients multi-vitamins because of the shortages, placing them at risk of severe vitamin deficiencies that can lead to issues like anemia due to a lack of folate or scurvy due to a lack of vitamin C. In extreme cases, a deficiency of a type of B vitamin called thiamine can lead to cardiac arrest or death. Anesthesiologists like Jason Soch, who hears about a new shortage nearly every week during his rotations at several surgical centers in Philadelphia, says that the drug shortages are often “workhorse” drugs such as fentanyl, midazolam and propofol used every day during surgery. The sickest joke in the world of medicine, besides vaccines, is professional nutritionists. One of the biggest crimes in progress is these professional nutritionists’ attempts to corner the market on nutritional advice. The truth is if you take their advice you will probably end up dead before your time. Hospital nutrition is a mirror of the profession’s ignorance. These nutritional “experts” insist that the best way to get vitamins is through a healthy diet—that is why their professional advice is so unwelcome to both patients and doctors alike. This is simply not true because food is not what it used to be in terms of nutritional value. It is pathetic that neither doctors nor hospitals have gotten their heads straight about the benefits of quality nutrition. 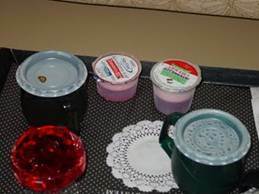 Nutrition in hospitals is terrible and that goes for the actual food they serve, whether they feed through the stomach or use intravenous administration of fluids. We know that those who are given or are already taking supplements have a lower rate of complications, are discharged sooner from the hospital and are much less likely to die. All forms of surgery are safer if patients are given magnesium before, during and after surgery. Intravenous infusion is particularly useful when reestablishing nutritional health during or after intense treatments, with magnesium being one of the most important substances to use. Many people are losing faith in the medical profession because most doctors are unwilling to accept what is becoming common knowledge: Nutrition and nutrient therapies are safer, cheaper and more effective than most other medical treatment. Too many doctors incorrectly reject the idea that there are large-scale nutritional deficiencies in the general public. How can they be so short-sighted or narrow-minded? The vitamin and mineral deficiencies so prevalent in modern society are due to the fact that these nutrients are removed from our foods by industrial food processing. The foods that most people eat are high in sugar and are processed and denatured of essential nutrients. Patients need adequate nutrition, not drugs, to recover from any illness, and sometimes they need that really fast. Patients who are critically ill have high nutritional requirements that need to be addressed and ER doctors know that it is often a matter of life or death. Nutritional feeding is critical to patient outcome and if death is near, intravenous and cutaneous injections are the proper emergency approaches to nutrition. The New York Times printed a story about how in 1965 an impoverished rural county in the Mississippi Delta, the pioneering physician Jack Geiger helped found one of the nation’s first community health centers. Many of the children Geiger treated were seriously malnourished, so he began writing “prescriptions” for food—stipulating quantities of milk, vegetables, meat, and fruit that could be “filled” at the grocery store. The grocery stores were instructed to send the bills to the health center where they were paid out of the pharmacy budget. When word of this reached the Office of Economic Opportunity in Washington, which financed the center, an official was dispatched to Mississippi to reprimand Geiger and make sure he understood that the center’s money could be used only for medical purposes. Geiger replied: “The last time I looked in my textbooks, the specific therapy for malnutrition was food.” The official had nothing to say and returned to Washington. It is tragic to realize that food itself is no longer a sufficient therapy for malnutrition. Fifty years ago when Dr. Geiger prescribed food, it was food that packed considerably more nutrition per gram than it does today. The nutritional profiles of foods have been steadily dropping and even an orange is not what it used to be in terms of vitamin C.
Hospitals need to get creative and come up with better diets for the patients as well as better intravenous solutions and more nutritious ingredients for the feeding tubes. Oral supplementation and a healthy diet alone may not achieve the desired medical muscle to resolve diseased conditions. “When vitamins are delivered intravenously they reach the blood faster than when taken orally. Many people who receive the infusions report feeling healthy immediately afterward,” said Dr. Robert Graham, an internist at Lenox Hill Hospital in New York. Intravenous medicine provides a method of increasing nutrient absorption so that the body can become healthy enough to heal itself. Intravenous medicine is a safe and effective therapy using natural substances in high quantities, which enables accelerated healing for optimal health. Much higher nutrient concentration levels can be achieved by the intravenous route without the side effects that occur by the oral route. When foods and supplements are taken orally, the gastrointestinal track breaks them down to release the core nutrients and transport those nutrients to the blood for delivery to the cells requiring them. This requires many steps and is dependent on numerous variables being intact, including optimal enzyme activity, proper acid production, healthy gut flora, healthy gastrointestinal lining free of inflammation and irritation, absence of “bad” bacteria, healthy peristaltic tone (pumping action of the GI tract), and others. After nutrients are transported to the blood, they are then delivered to the liver. A compromised liver can make certain nutrients inactive, ineffective, or bound for excretion before given the opportunity to have their effect in the body. Administering vitamins and minerals intravenously helps avoid many of the problems of taking large doses by mouth. IV therapy helps correct low nutrient levels more quickly and without the potential side effects like diarrhea and heartburn that often accompany oral doses of vitamins and minerals. Glutathione is a powerful antioxidant found predominately in the brain and liver. When given intravenously it improves liver and brain function. Though nutrients may have numerous effects on the body, some of these effects are attained only after reaching very high levels. For example, vitamin C has been demonstrated to have an antiviral effect at high serum concentrations of 10-15 mg/dL. These levels are not achievable via the oral route even in a healthy individual. The highest plasma concentration achieved through oral administration of vitamin C is 9.2 mg/dL. This means that no matter how much vitamin C someone ingests, they will be unable to raise their blood levels beyond a certain point. A high dose of 2.5 grams/day of vitamin C will raise the serum concentration to only about 1.2-1.5 mg/dl. Even if we could achieve higher serum concentrations from super-dosing of vitamin C, such high oral dosing often causes disagreeable gastrointestinal side effects such as diarrhea and nausea. A similar effect is found with magnesium supplementation, where oral supplementation has a peak serum concentration beyond which even super-dosing with oral magnesium cannot surpass. Nutrients delivered intravenously provide high enough concentrations to elicit a pharmacological (drug-like) effect on cells, which can only be achieved at such high levels. For example, vitamin C can have a viral killing effect but only at very high plasma concentrations. Thus, IVNT (intravenous nutrient therapy) allows for natural substances to have a drug-like effect without the side effects and dangers of using synthetic and toxic drugs! Amino acids, glutathione, vitamin C, Myers’ cocktail (B complex, vitamin C, magnesium, dexpenthanol B5, calcium, B12, B6), phosphatidylcholine, chelating agents, sodium bicarbonate, minerals, multi-vitamins, antioxidants, herbal and homeopathic medicines all have been applied intravenously. IV infusion is an effective way to administer nutrients and other medications when disease or treatment side effects limit your ability to swallow pills or liquids. Marine-based therapy encourages cellular regeneration and cellular nutrition and this was used to great effect a century ago. Babies were brought back from near death from cholera and other causes; cadaver-like bodies filled out to healthy plumpness; raw, weeping skin from eczema became smooth and lesion-free, all by the power of seawater. 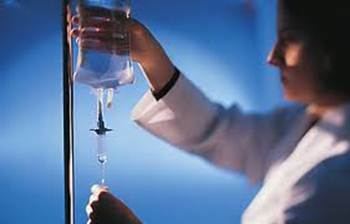 Any IV treatment carries a risk of bruising, infection and vein inflammation. That is why they are best administered by professionals. Doctors, nurses and naturopaths are trained to routinely administer nutrients and medicines this way, and in emergency situations this is essential medicine. Many seem attached to the idea that the best way to absorb nutrients is through the gastrointestinal tract and that an IV drip should be used only if a person has a real medical condition that prevents him from taking vitamins by mouth. Some doctors cannot open their mouths without medical garbage pouring out. Dr. Seres is not talking about real medicine—he is talking pure arrogance, the kind that kills people. Reading his words reminds me of that famous case of the New Zealand farmer Allan Smith. His family sued and won a court order that forced a hospital to administer high-dose vitamin C intravenously and it saved the man’s life. Intravenous vitamin C is a well-researched and proven antiviral and is a registered medicine in New Zealand. The mainstream medical media has been showing off its most unintelligent side by writing up bad copy about intravenous medicine saying, “There’s little evidence the practice has any health benefits.” They like to point out, for all the wrong reasons that, “In addition, the invasive IV method poses more risks than taking vitamins by mouth.” The fact is, many celebrities practice intravenous medicine. All of these sources might as well be saying that we should trash emergency room and intensive care medicine. The truth is there are alternatives to this kind of medicine and they can be practiced at home without medical supervision. Through intense oral and transdermal administration (a topic thoroughly addressed in many of my other essays), a person can do almost everything necessary to bring himself back from the edge—but there are times when an IV is what will save the day.